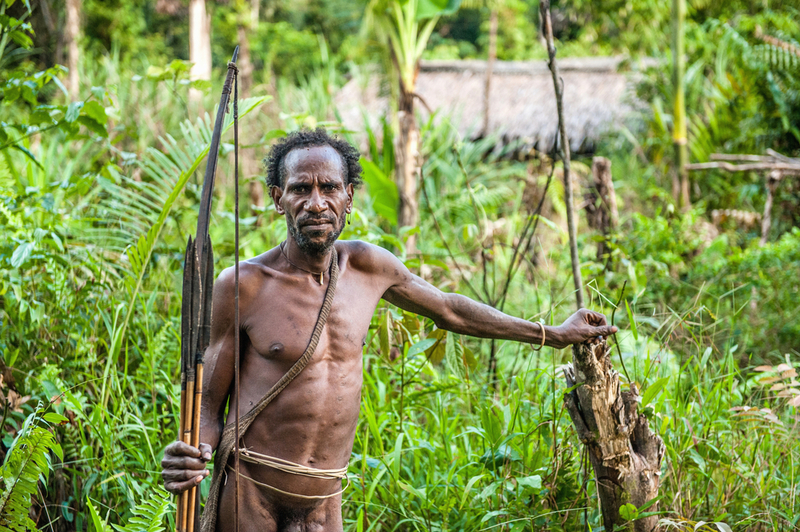 The Korowai Tribe are a fascinating tribe only recently discovered in Papua New Guinea. Up until the 1970s, there had been no previous recorded contact between them and the western world. In fact, scientists believe the tribe may not have ever realised anyone else even existed other than themselves. 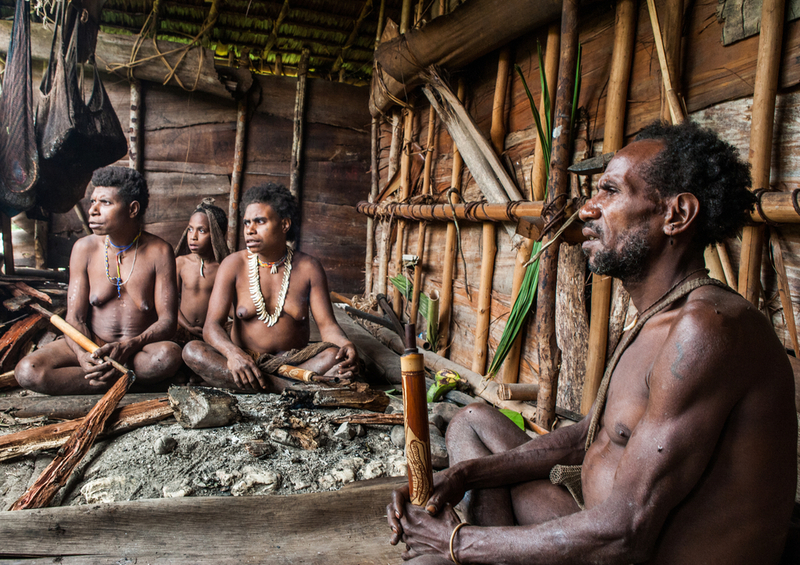 Here’s what you should know about the Korowai Tribe. One of the most remarkable engineering feats of the isolated and primitive tribe is their ability to construct great treehouse which sit 140-feet high in the jungles. 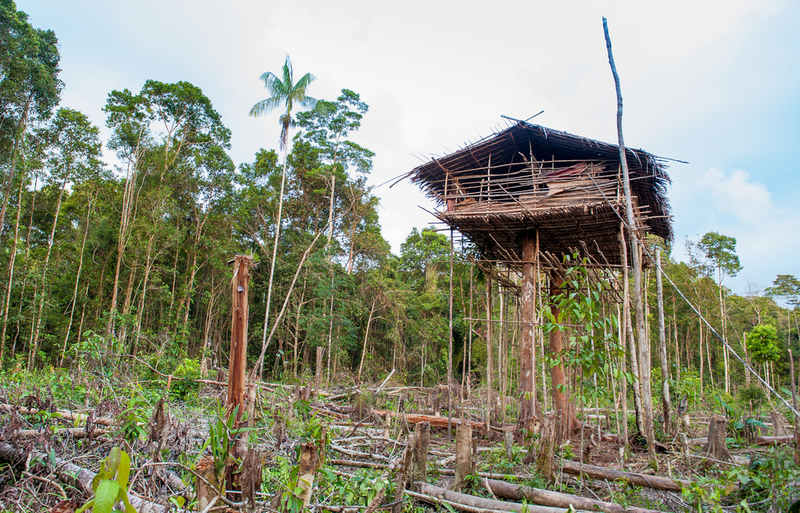 The treehouse are constructed and placed on stilts, which were designed to protect the members from rival villages. 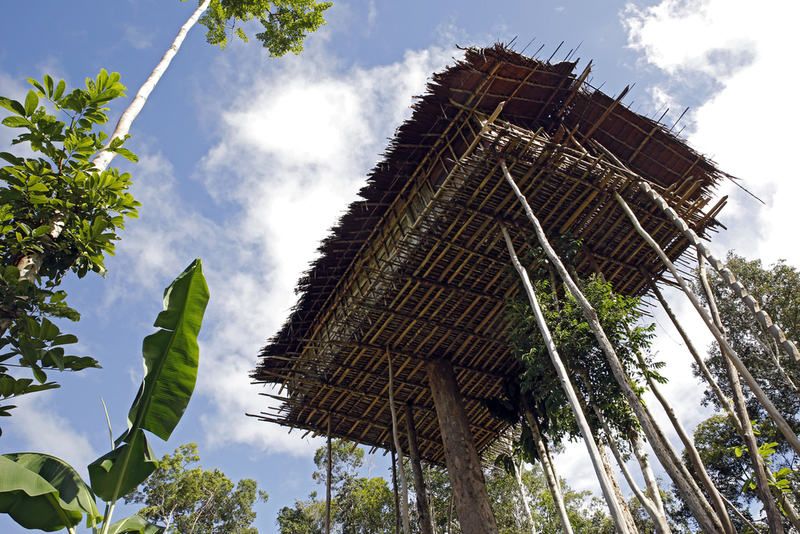 These basic structures are only accessed by wooden ladders, placed up against the stilts to reach the top. The central pole is made from a Banyan tree, with the bark of sago palm used for the floor and walls. The roof is made from the sago leaves. Fire pits are also created to protect the hut, as the biggest danger would be a fire. The first recorded case of westerners meeting this tribe wasn’t until 1974, when a group of Western scientists took an expedition to the area. The scientists made basic observations and noted down some words and local techniques, such as firemaking. Many of the Korowai still believe today that outsiders carry demons and evil spirits. It’s thought that up until the 1970s, they may not have ever realised anyone else in the world existed outside their tribe. Some of them still have probably never seen a white person in their life. Papua New Guinea is one of the countries in the world where it is no secret cannibalism has been practiced in the past, and up until quite recently. The Korowai tribe is one of the last known tribes in the world to have been cannibals. Because of the Korowai belief in evil spirits, it was necessary to kill and eat a person they believed had been taken over by a khakua, or demon. There is talk that the practice is still carried out today, and some members of the tribe will state this. However others believe this claim is just for a good story to live up to the expectations by foreigners. Either way, the tribe still has a recent history of cannibalism. Witchcraft still plays a major part of the Korowai belief system. While Christian missionaries have been living in the area since the late 1970s, and have successfully converted some Korowai to Christianity, many are reluctant to give up their traditional spiritual views. Demons are real, and any fatal illness is more likely to be blamed on evil spirits rather than an infectious disease reaching an unvaccinated community. The Korowai believe in the spirits of their ancestors and believe in a form of reincarnation and have many rituals, magical phrases and traditions. While men tend not to get married until they are in the 20s, most women are married off in their early teenage years, after they begin to menstruate. The treehouse typically hold up to 15 people, which will consist of a man, his wife or wives and any unmarried children. Once a woman is married, she is seen as an adult and must leave the family home to live with her husband. Without any western technology or infrastructure, hunting is done in a more primitive manner — with a bow and arrow. These tools are not only used for hunting animals, but also to hunt down other people, intruders from rival clans or unwelcome foreigners. The bow has a barb on it and this will be pointed at outsiders until they have established peace.